About 10 French nationals are still unaccounted for after last week's deadly terror bombings in London, France's minister for European affairs said today. Catherine Colonna said Europe had made progress in the fight against terrorism since the September 11, 2001 attacks on the US, but more needed to be done. Referring to the London attacks, Colonna said, "We still have no news from about 10 French citizens … as time progresses, we hope to have more information." The Polish Foreign Ministry today said it believed 17 Poles were unaccounted for in London as a result of last week's terrorist attacks. "The consulate (in London) is searching for 17 Poles," said Boguslaw Dubinski, an official in the ministry's consulate department. "But this number may change." to house the bodies from the bombing attacks on London 7-7-2005 . In I94I a group of psychiatrists at the Tavistock Clinic saw that the right questions were asked in Parliament in order to secure the means to try new measures. As a result they were asked to join the Directorate of Army Psychiatry, and did so as a group. To understand how such a small group was able to be so influential, we must go back to the period immediately after World War I when there was a growing recognition that neurotic disabilities were not merely transitory phenomena related to the stress of war, but were endemic and pervasive in a modern society. In order to respond to the 'felt social need' thus arising, the Tavistock Institute of Medical Psychology (better known as the Tavistock Clinic), the parent body of the post-World War II Institute, was founded in I920 as a voluntary outpatient clinic to explore the implications for treatment and research. The founding group comprised many of the key doctors who had been concerned with neurosis in World War I. They included general physicians and neurologists, as well as psychiatrists, and one or two multiply-trained individuals who combined psychology and anthropology with medicine. The group, therefore, showed from the beginning the preparedness to be linked to the social sciences and to general medicine, as well as to psychiatry, which has characterized it ever since. Interest focussed on the then new 'dynamic psychologies' as representing the direction which offered most hope. Because of the uncertain and confused state of knowledge in these fields, tolerance of different viewpoints was part of the undertaking and the Tavistock Clinic functioned as a mediating institution, a clearing-house where the views of several contending parties could be aired. On the one hand were the adherents of Freud, Jung and Adler, who were preoccupied with establishing their own professional societies and advancing their own theories. On the other were a neurologically-oriented general psychiatry, a somatically-oriented general medicine and a surrounding society puzzled, bewildered, intrigued and frightened by the new knowledge of the unconscious and its implications for important areas of life. The Tavistock Institute of Human Relations, a novel, interdisciplinary, action orientated research organisation, was founded in London in 1946 with the aid of a grant from the Rockefeller Foundation. It was set up for the specific purpose of actively relating the psychological and social sciences to the needs and concerns of society. In sustaining this endeavour for more than fifty years, it has won international recognition. The circumstances of World War Two brought together an unusually talented group of psychiatrists, clinical and social psychologists and anthropologists in the setting of the British Army, where they developed a number of radical innovations in social psychiatry and applied social science. They became known as the Tavistock Group because the core members had been at the pre-war Tavistock Clinic. Though only some of them continued their involvement with the post-war Tavistock organisation, those who did built on the war-time achievements to introduce a number of far-reaching developments in several fields. This style of research related theory and practice in a new way. The objectives of the Institute were to study human relations in conditions of wellbeing, conflict or breakdown, in the family, the community, the work group and the larger organisation, and to promote the health and effectiveness of individuals and organisations. Since that time, the Tavistock Institute has evolved into an organisation that does research and consultancy, evaluation and professional development work in support of change and learning. We try to contribute to the development of the social sciences by publishing our work. We also own and edit Human Relations, an international social science journal, and edit the journal Evaluation. 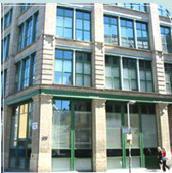 The Institute was located in the Tavistock Centre in Belsize Park, which we shared with the Tavistock Clinic until the summer of 1994, when we moved to our current office in central London. We do research, consultancy, evaluation, and professional development work to support change and learning. We also produce publications. We are interested in inter-organisational relations, the emergence of the knowledge society, and problems of organisation, particularly in the delivery of public policy. We like to work creatively with people involved in innovative activities, working across boundaries, or in difficult situations. In our work we combine research and analytical skills with practical help in devising solutions and in following through to implementation. We come from a variety of disciplines, including sociology, social psychology, economics, anthropology, policy science, and management. The Grubb Institute began its life as the The Christian Teamwork Trust in the late 1950s. Funded voluntarily and involving nationally-known Christian leaders from banking, insurance, business, industry, law and the church it provided a supportive framework within which a staff core worked with a large network of volunteers at issues of faith, life and education in people's working lives. The Trust tackled over 1000 different requests for help in 8 years which developed into projects including The Lyndhurst Club, The Abbeyfield Society, The Richmond Fellowship, Langley House Trust and Christians in Industrial Life. The work of the Trust in understanding human behaviour led to involvement in the early development of the group relations movement. Through working with Dr A K Rice and Dr Pierre Turquet of the Centre for Applied Social Research at the Tavistock Institute the Trust explored how the insights of group relations conferences related to basic beliefs of Christian theology. This developed new understanding of psychodynamic and systemic theory within the Group Relations movement itself and to the development of Group Relations conferences like Being, Meaning, Engaging which are still run to this day. The change of name to the Grubb Institute of Behavioural Studies in 1969 was a recognition of the fact that since 1966 the Trust had been winning consultancy assignments and applied research projects in which it was now seen as a professional body, competing in the secular world of universities, research bodies and management consultancies. In the 70's and 80's the Institute submerged itself in the critical social issues of the time through, for example, seminal work with the Prison Service, the Transition to Working Life Program for the Unemployed and even work with the Communities in Northern Ireland during the height of the Troubles. It also developed the breadth and vision of its thinking through the setting up of bodies like the Centre for the Study of Social Consciousness and through seminal publications such as Bruce Reed's The Dynamics of Religion. In the early 1990's the Institute's experience of transforming Institutions and seminal work with ITT led to the development of the conceptual framework of Person, System and Role. This provided a basis for the Institute to branch into professional coaching and consultancy through methodologies like Organisational Role Analysis and the Corporate Work Process. Since then, these conceptual frameworks and methodologies have been continuously tested, redeveloped and adapted in education, health and social care, business, industry, government agencies, the voluntary sector and religious organisations. The Bayswater Institute was founded in 1991 by Dr Lisl Klein, formerly of the Tavistock Institute with the help and advice of Harold Bridger. 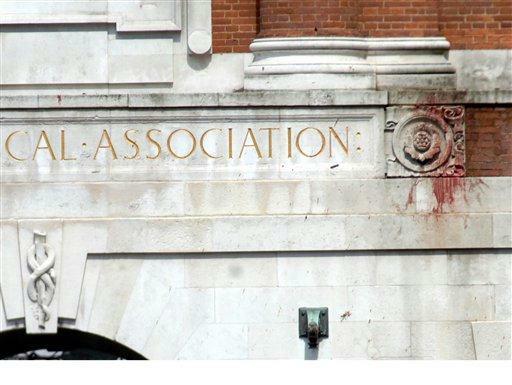 It was created as an independent research organisation and a registered charity. consideration of the needs and development of people in the design and implementation of technical, managerial and administrative systems. the use and application of the understanding that has been gained in these areas from research and experience in the social sciences. A centre has been opened to help families and friends trace people missing since last week's London bombs. 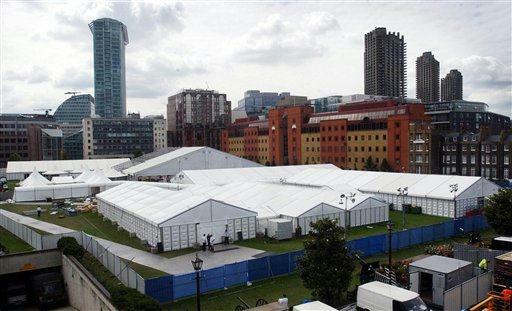 The centre at the Royal Horticultural Conference Hall near Victoria, central London, replaces a temporary centre at the nearby Queen Mother Sports Centre. It will offer 24-hour help and be staffed by police family liaison officers and workers from groups such as the Red Cross and Victim Support. Fifty families have sought help since the first centre opened on Saturday. Culture Secretary Tessa Jowell, who visited the centre at its opening on Tuesday, said it was for bereaved families as well as others affected by the bombs. Ms Jowell, who has been put in charge of providing government support for victims' relatives, said: "I hope families will see this as a one-stop shop, a place where they can come but also a place they can telephone. "Help will be here for as long as families need it." So far, police have sent 74 family liaison officers to help families who fear they have lost relatives in the attacks. Some families have had more than one officer assigned to them. The new centre's facilities include private family rooms, children's play areas and internet access. Commander Steve Allen, of the Metropolitan Police, said the centre was moved because the sports centre was not big enough and its facilities were not adequate. He also denied that police had been slow in setting up the centres. He said: "In the immediate aftermath of the bombings, the police response was about identifying families who needed family liaison officers, trained detectives to work alongside families, and right from the beginning we were deploying these. "On Saturday afternoon, we set up the first centre and since then 50 families have visited." Relatives who visit the centre are asked to bring identification and a maximum of three other family members. People wanting to volunteer are asked not to visit the centre. 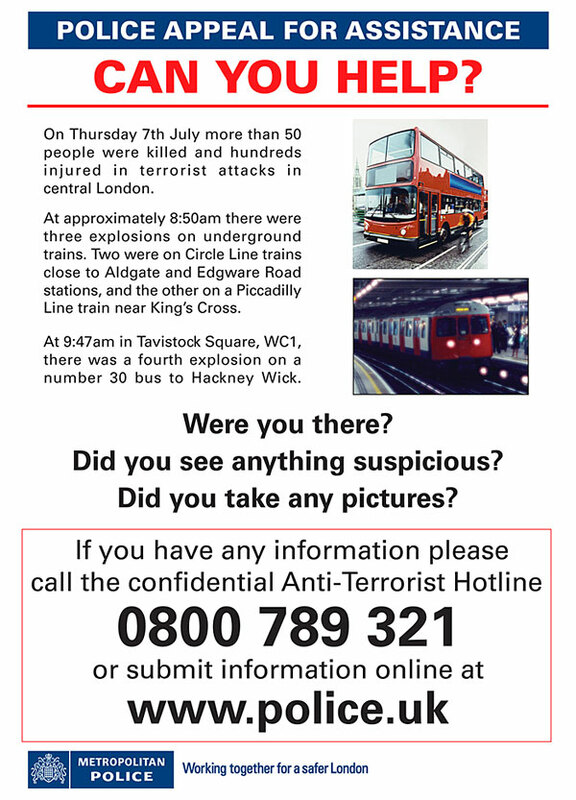 Witnesses are asked not to present themselves to the family centre, but instead call the anti-terrorist hotline on 0800 789 321.
doesn't know the full story of an event? "so....tell me what you saw on the day of the bombings, "
"well we werent allowed on trains at 6 in the morning...why, not?" Up to 100 members of the Church of Scientology in garish yellow jackets joined the relief operation as sandwiches and bottles of water were rushed through the police cordons. - Sunday July 10, 2005 - The Observer "The Horror"
A common blood pressure drug could help people who have witnessed traumatic events, such as the London bombings, to block out their distressing memories. Cornell University psychiatrists are carrying out tests using beta-blockers, the journal Nature reports. The drug has been shown to interfere with the way the brain stores memories. Post-traumatic stress disorder affects around one in three of people caught up in such events, and memories can be triggered just by a sound or smell. People with PTSD are given counselling, but because it is not always effective, researchers have been looking for alternative therapies. However there are concerns that a drug which can alter memories could be misused, perhaps by the military who may want soldiers to become desensitised to violence. The beta-blocker propranolol has been found to block the neurotransmitters involved in laying down memories. Studies have shown that rats who have learned to fear a tone followed by an electric shock lose that fear if propranolol is administered after the tone starts. The Cornell University team are reported to be seeing similar results in early studies in humans, Nature reports. Margaret Altemus, who is one of the psychiatrists working on the study, told the journal: "The memory of the event is associated with the fear, and they always occur together." The researchers plan to recruit 60 patients for a clinical trial where participants would be asked to take a dose of propranolol whenever they experienced symptoms of PTSD, such as an increased heart rate or breathing difficulties. But so far only one person has volunteered to take part. Dr Altemus believes patients can be reluctant to try new therapies. She said a drug treatment could be a useful option for those with PTSD. "People with PTSD are disabled - their communication and relationships can be crippled. "It's a serious illness." But other psychiatrists have expressed concern about the use of the beta-blocker in PTSD treatment. Berthold Gersons, based at the University of Amsterdam in the Netherlands, said: "We hope it will work, but it is a simple solution." He cautioned it may not work in all cases of PTSD. CAMBRIDGE dancer Bruce Lait has spoken of his miraculous escape when a bomb exploded just yards away from him in a Tube train carriage. The 32-year-old was knocked out by the blast and awoke to a terrible scene of devastation in the underground tunnel near London's Aldgate East station. "I've had people who know me phone me from all over the world and ask if I am alright. 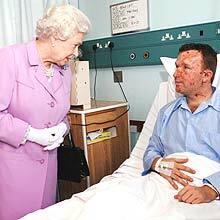 Those pictures of me and the Queen have gone all over the world." Shortly before 9am on Thursday, July 7, Waterloo ambulance station received an emergency call to an incident underground, first described as at Liverpool Street Station, and then confirmed at Aldgate. 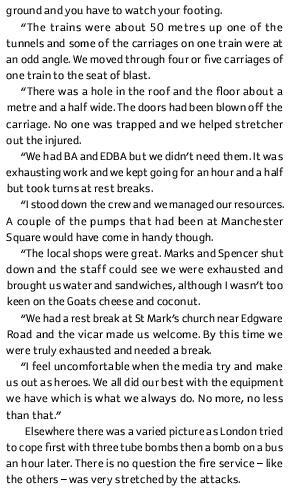 Paramedic Alan Treacy, 42, of Weald Hall Lane, Thornwood, colleague Phil Greene and a duty manager responded. "As we went down I saw the walking wounded coming up. They were covered in soot, limping, blood running down their faces and on their hands. "I didn't know what had happened. We thought it was a derailment or a power surge." He climbed down onto the tracks and walked 200 yards along the tunnel to the stricken train. 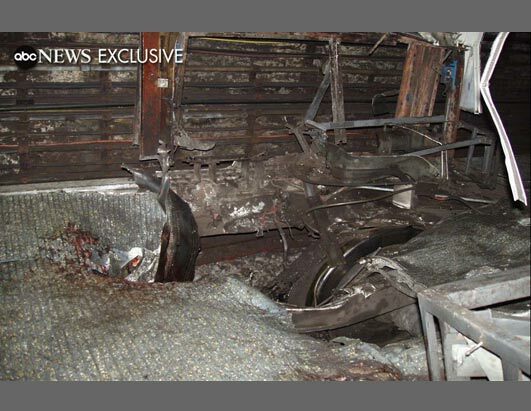 A firefighter helped him scramble into the carriage where the blast occurred. He said: "As I arrived it was obviously a bomb. The roof had blown off." 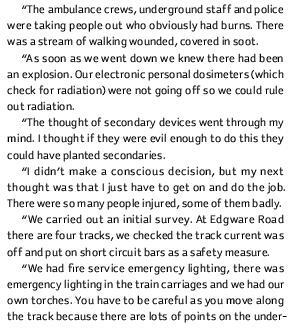 The Guardian's Mark Honigsbaum spoke to several eye witnesses to the Edgware Road tube bomb on July 7th. would this have occured if bomb was inside carriage?.. What seems to have happened is that ... passengers had just left Edgware Road when they heard a massive explosion under the carriage of the train' he explained, which had caused all this mayhem. Just as their train left for Paddington, passengers felt the blast as 'tiles and covers on the floor of the train suddenly flew up, and then, the next thing they knew, there was an almighty crash which they now believe was from a train opposite hitting their train which had been derailed by the explosion. Then everything went black and the carriage filled with smoke. A man caught by the blast had "very, very bad injuries to his legs". 'Davinia', M.H. reported on the audio, experienced a massive fireball coming towards her, and the next thing she knew she was burned all over. Bernie Scranney 33, from Shepherd's Bush, west London. At Edgware Road blast. "I got on a Circle line tube at Notting Hill and was heading towards the Guardian, where I work in the advertising department. The train was full and I stood immediately behind the driver's cab in the first carriage. We set off and another tube began to pass in the opposite direction. "Almost immediately there was a huge bang and flash. I knew it was a bomb. Our train came to a halt and there were clouds of black smoke. A second later and the explosion would have punched a hole in our carriage. 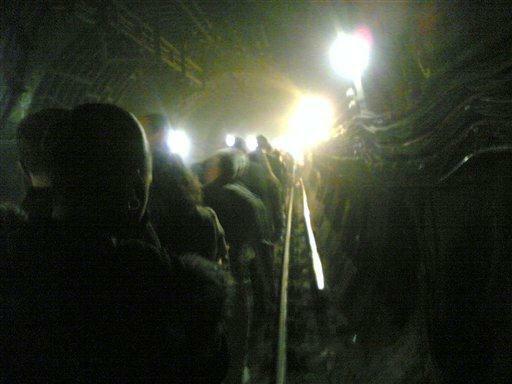 The emergency lighting came on and we heard screaming from under the other train. We could hear a guy shouting 'Help me, help me.' Some people tried to get out but the doors wouldn't open. "We didn't know if our driver was OK and I started banging on the cab door. At first there was no answer. Eventually he opened it. He was quite dazed, perhaps concussed. His windows had shattered but not blown in. "He opened the outer door and looked at the track ahead. There were huge pieces of metal which had been ripped out of their rivets lying about. The driver warned it would not be safe to get out if the track was live. The guy under the train was still screaming. "The driver must have taken the brunt of the blast but he got it together very quickly and made an announcement that there had been an accident. No one was hurt on our train and after a while he walked down the track and met transport officials who had come down from Edgware station. "We were down there for about 20 minutes. Eventually they led us out along the rails. The guy under the train had stopped screaming. I think he'd died. 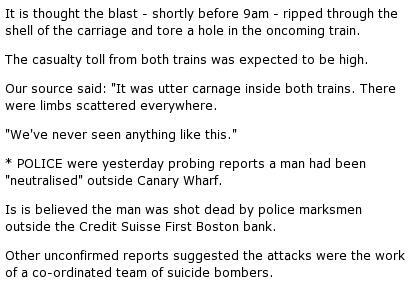 Why would this witness imagine that a second later the bomb would have affected his carraige... If he didn't believe that the train was actually travelling over a Bomb placed on the track? Why would a victim be UNDER the Carraige? Bodies on the track? underground... a horrific narrative was starting to unfold. Terrified commuters were choking on dust in the dark. An explosion had ripped through the floor of the third carriage of a tube train as it was coming into Liverpool Street station. It was 8:51 AM. The tube, travelling on the Circle line from Aldgate station, was packed with commuters. 'We felt the train shudder,' said another passenger, Terry O'Shea. 'Then smoke started coming in to the compartment. It was terrible. People were panicking, but they calmed down after one or two minutes.' Laser pens were used as torches. Fire extinguishers were used to break down doors. Lights on the tube flickered on and off. People sobbed. Some screamed. Others were silent, struck dumb by the terrifying noise of the explosion. As the dust settled reassuring voices came over the speaker system urging the passengers to stay calm as an evacuation process was introduced. 'As they led us down the track past the carriage where the explosion was, we could see the roof was torn off it, and there were bodies on the track,' O'Shea said. a sinister development...does the following story read like a witness appeal? 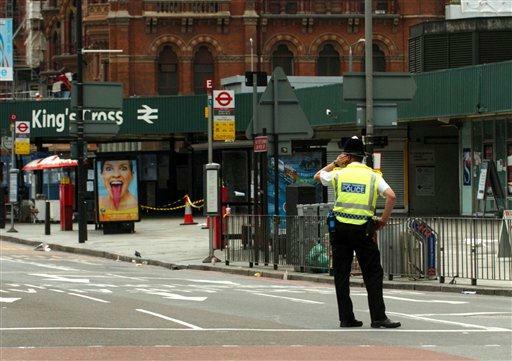 Investigators have been appealing for witnesses to the shooting dead by police of a Brazilian man mistaken for a suicide bomber at Stockwell station. Jean Charles de Menezes, 27, died last Friday after being shot eight times on a train at the south London station. The Independent Police Complaints Commission is conducting the inquiry. Mr Menezes' funeral is to take place in his home town of Gonzaga on Friday. A requiem mass will be held at London's Westminster Cathedral at the same time. Mr Menezes' family and friends based in London are set to attend the Westminster mass, which will be conducted by Father Frederico Ribeiro, chaplain of the Brazilian community in the capital. Cardinal Cormac Murphy-O'Connor, the Archbishop of Westminster, will read a message at the end of the service. "The Brazilian Catholic community is angry and grieving and the Cardinal felt it was important to accompany them at the funeral," said a spokesman for the head of the Roman Catholic Church in England and Wales. On Thursday the Home Office said the visa of Mr de Menezes expired two years before he was shot by police. A passport stamp apparently giving him indefinite leave to remain "was not in use" on that date, added officials. Home Office officials said they wished to end speculation over his immigration status but added that the statement was not intended to influence any investigations. Some of the dead man's relatives have questioned the police account of events and called for the banning of the Met's shoot-to-kill policy for suicide bombers. Scotland Yard has admitted Mr Menezes was not connected to the attacks. Q: How bad was the damage? "It was extensive. There was wreckage on the track. Whether the rescuers have pulled the side off - I don't know. The whole one side of the tube (carriage) was on the track. Large panel of the side of the carriage... And they were bringing people out, they were naked, they were black but alive. Cloths have all been blown off and they were just black." Q: How quickly were the emergency services there? "I think 10 minutes or so. Everyone was trying to pull the alarm cords but they have already been triggered. I assume the communication lines with the driver have gone. We just didn't know what has happened or what was happening. The people were really good actually. The people stationed themselves at the doors to stop stampedes. And one man went from the very back carriage. Well, the carriage where it happened. And he made his way to the driver to try and get help as soon possible because there were some badly injured people over there." Q: Could you guess how many people were hurt in this? "I Don't know. Some of them must have been taken off the train before we walked pass by the carriage. But I saw at least one body lying on the floor of the carriage." "I don't know. They were not trying to shift them so I don't know whether they were injured or dead." "Eventually we managed to get through to the front - the driver's carriage, and they got us down onto the track. But than we had to walk up the track past the damage up top Aldgate where they siphoned us off. They were brilliant than. They took us over to the area by the bus garage and they had some double-decker buses and they treated the seriously wounded in the buses. They took everyone's names." 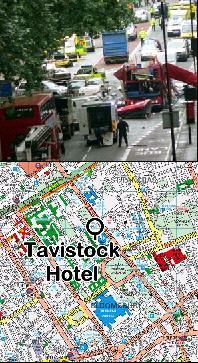 While the authorities were treating people on Buses after the initial the 7-7 attacks, did they comandeer a bus full of damaging Witnesses, drive it to Tavistock Sq, & explode it an hour later? A bus passenger says he may have seen one of those responsible for the bomb attacks in London. Richard Jones, from Binfield, near Bracknell, Berks, had got off a bus just before it was blown up in Tavistock Square on Thursday. 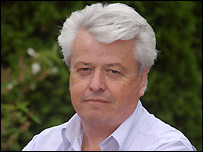 Mr Jones, 61, an IT consultant, has told BBC News he saw a man acting suspiciously on the bus. He said the man was fiddling with something in his bag and seemed in an agitated state. Mr Jones, who was forced to take the bus from Euston after Tube services were suspended, said: "He was standing next to me with a bag at his feet and he kept dipping into this bag and fiddling about with something. "I was getting quite annoyed with this because it was a crowded bus. "Everybody is standing face-to-face and this guy kept dipping into this bag." 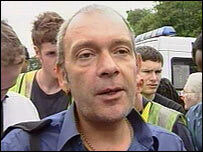 Mr Jones, who said he got off the bus because it was in heavy traffic, has given a statement to police. 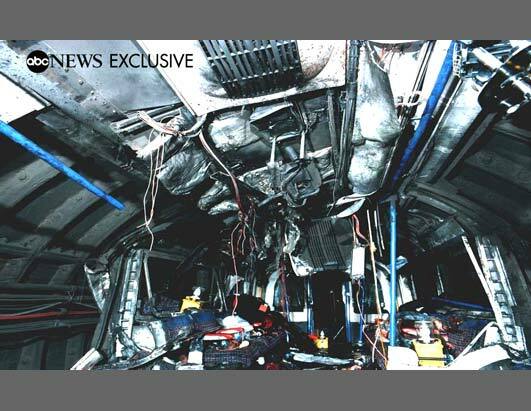 Police have yet been unable to establish whether a suicide bomber was responsible for the attack on the bus. Were the 2nd 'bombs' an elaborate hoax...designed to create a distraction while the authorities continued to silence witnesses of that first staged and deadly Bomb attack? Philip Stuart Russell, 28, from Kennington, south London, appears to have only taken the bus after being evacuated from the London Underground on his way to work at JP Morgan, PA quoted his family as saying. His father, Grahame, said his son would normally have got off the subway at Moorgate, but in the unfamiliar surroundings of Euston he took the wrong bus. "I am just trying to mourn and grieve his loss. He's a wonderful kid that was in the wrong place at the wrong time,"
Very hard to imagine how Philip Stuart Russell could have ended up anywhere near Euston. Anyone who looks at the way the London Underground joins up can see how everything links, which in many ways works against the planners of this attack but helps us to investigate. 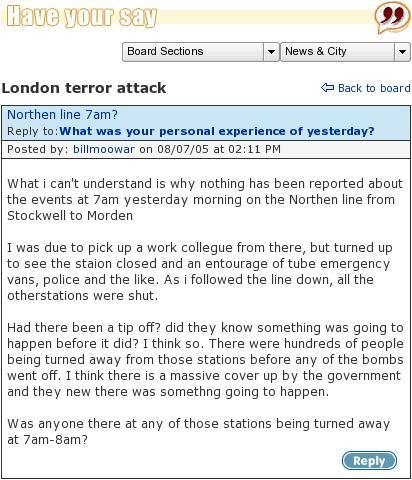 I think the Kennington clue is really important as it is on the Northern line which was closed early on the morning of the 7/7 and police cars seen around Balham station. The massive police operation around Stockwell Kennington Oval that has appeared as a man hunt is I think to shut people up, they don't want anyone talking. Especially after witnessing an execution. The events on the 21/7 are showing us this. 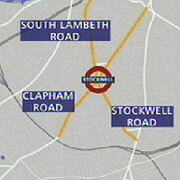 The Shepherds Bush train was opposite the BBC, the Warren Street train besides UCL hospital (where police swooped after 7/7 and many of the injured were taken) the Oval (the Northern line link) and the BUS at Hackney (telling us and them that the bus was diverted on its route from Hackney Wick and not from Marble Arch). 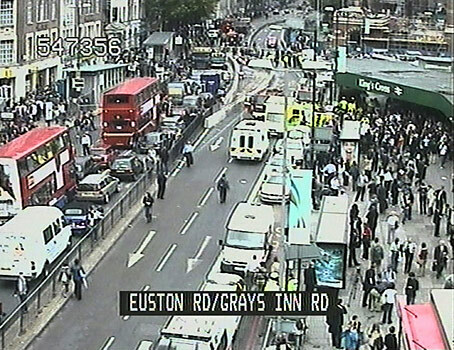 Buses were used to ferry the injured to hospital from Kings Cross on 7/7. This is why there is such panic to get these guys (who have injured or killed precisely no-one). The other coincidence is that all the lines where the 3 incidents happened on 7/7 were closed for about half an hour before 8.30 that day. The mortuary was set up in the grounds of Armoury House in the City of London (which also has its own police force The City of London police) and the Royal London Hospital where many of the injured did not recover and was visited by the Queen is on Corporation of London ground. Flashback: 2 Men shot by Sniper??? 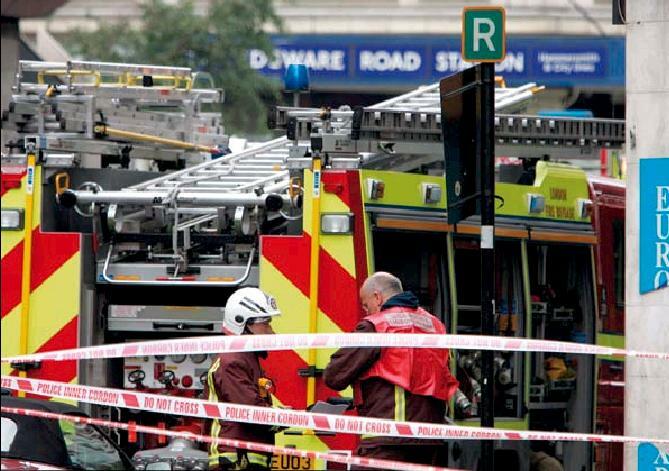 09.07.05 A New Zealander working for Reuters in London says two colleagues witnessed the unconfirmed shooting by police of two apparent suicide bombers outside the HSBC tower at Canary Wharf in London. The New Zealander, who did not want to be named, said the killing of the two men wearing bombs happened at 10.30am on Thursday (London time). Following the shooting, the 8000 workers in the 44-storey tower were told to stay away from windows and remain in the building for at least six hours, the New Zealand man said. He was not prepared to give the names of his two English colleagues, who he said witnessed the shooting from a building across the road from the tower. 20 August 2005 - A New Zealander with questionable qualifications who was hailed a hero for her actions during the London bombings has been found dead in London. Richmal Marie Oates-Whitehead, 35, who worked in a non-doctor role for a British Medical Association publication, was found by police at Shepherds Bush on Wednesday (British time), an Auckland paper reported today. The Metropolitan Police said her death was not suspicious but it would be investigated by a coroner. The paper said officers went to Ms Oates-Whitehead's home after a call from a worried relative in New Zealand. Ms Oates-Whitehead had resigned last week as editor of the British Medical Journal's Clinical Evidence web publication after questions were raised about her claim to be a doctor. 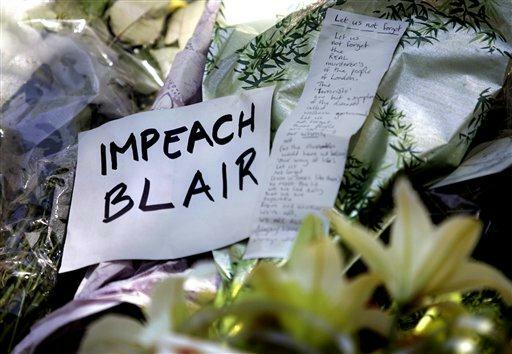 She was quoted in a New Zealand newspaper after the London bombings as saying that she did the "ethical and moral" thing when asked to enter a wrecked bus in Tavistock Square and tend to the injured, despite fears of a second bomb. The paper said the Gisborne-raised woman studied medicine at Auckland University but the Sunday Star-Times said at the weekend the university had no record of her graduating. New Zealand's only other medical school, Otago Medical School, also had no record of her graduating. another murder? another cover up??? 1) Menezes was wearing a heavy jacket on a hot summer day. wrong! 2) Menezes jumped the turnstiles, violating the law.wrong! 3) Menezes ran from police. wrong! 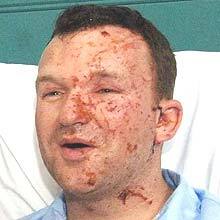 4) Menezes was shot after being bundled to the ground.wrong! 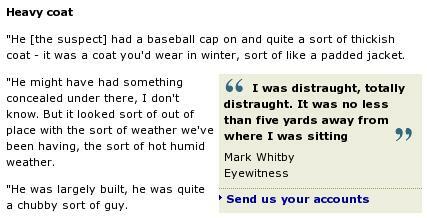 Did witness Mark Whitby see anything at all? in a bus at Russell Square in central London, Tuesday July 12, 2005.
an agonizing wait Tuesday for word of the fate of their loved ones. The families of some victims of the July bombings in London say they have felt "overlooked" by the government, ahead of a national memorial service. One woman who lost her mother said she felt "sidelined" during preparations for the St Paul's Cathedral service. A bereaved mother who made an emotional speech after the attacks said she had not been contacted again since being asked to contribute to the service. The government said it had been working for victims' families since day one. But one victim's father said relatives should have been contacted sooner. Sean Cassidy, who lost his 22-year-old son Ciaran in the Piccadilly Line blast, said he felt relatives' concerns had not been a priority. He said, while the memorial service "may be a good thing", the government should have made contact earlier. "We had contact last week with Tessa Jowell. But the government were having contact with the Muslim community within 24 hours of the bombs going off. "Why didn't they come and see some of us? We were the ones who were suffering." A spokeswoman for the Department for Culture, Media and Sport (DCMS) - which has responsibility for the aftercare of victims - said it had been working to help victims' families since day one. Saba Mozakka, whose mother Behnaz was killed in the same explosion, told BBC Breakfast she felt "sidelined" by the government in their preparations for Tuesday's event. While she was glad the service was being held, she said some relatives and survivors had not been sufficiently consulted about the form the service should take. "We are pleased the government has taken this initiative but we want them to talk to us more. We want them to consider we are suffering at the moment and we do have an input." She said they had heard nothing from the government until a meeting was arranged with Tessa Jowell last week at two days' notice. "It just feels we have been totally sidelined," she said. Describing her mother as her "best friend" Ms Saba described how she, her brother, father and around 60 friends searched London's hospitals after the bombings in the hope her mother would be found. "As far as we are concerned my mother has been murdered. 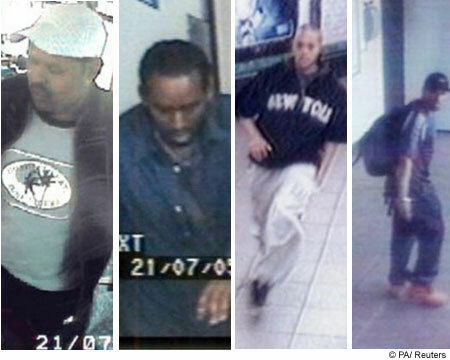 Like any other normal murder we need to know what's going on and that applies to the police as well." Also speaking on BBC Breakfast Marie Fatayi-Williams, who made an emotional plea to stop "this vicious cycle of killing" in the days after the attacks, said she had some reservations about the service. Her son Anthony was killed on the No 30 bus in Tavistock Square. Four days later, as she waited for confirmation of what had happened to him, she asked in a public speech: "How many mothers' hearts shall be maimed?" Mrs Fatayi-Williams said she felt the victims' families were being overlooked four months on. She said she had received a letter asking if she would like to contribute to the memorial service but, when she requested the hymn Magnificat be included, she heard nothing back. She had since learnt it will not be part of the service, she said. Since the tragedy struck she had wanted to reach out to other grief-stricken mothers, she added. "Other mothers' hearts must be bleeding like mine. It's the same blood flowing through our veins and the same death pangs and the same love for our children and so when one is taken so brutally from you, you want to know. "It's as if you are just a number, you do not count." Mrs Fatayi-Williams has set up the Anthony Fatayi-Williams Foundation for Peace and Conflict Resolution in honour of her son. Culture Secretary Tessa Jowell had worked with family liaison officers and the Red Cross to immediately set up the family assistance centre, with which she is still in weekly contact, said the department spokeswoman. Family were asked if they wanted direct contact from the government or to get information via liaison officers. Just over two months after the bombings each family received a condolence letter with details of the memorial service, and were given the chance to get in touch with problems or questions, she said. "We take advice from bereavement specialists who say we should be not too invasive or bombard people with government letters while they are grieving, but obviously we are learning how to deal with this kind of situation and we will take their feelings and concerns on board."